About 40 years ago I visited RAF Cosford and the 188 was outside whilst they were moving exhibits about. There was a cockpit ladder just waiting for me, no one was about so I climbed up and sat in the cockpit making woosh vroom zoom noises and pretending I was at 50,000ft and mach 2.0. 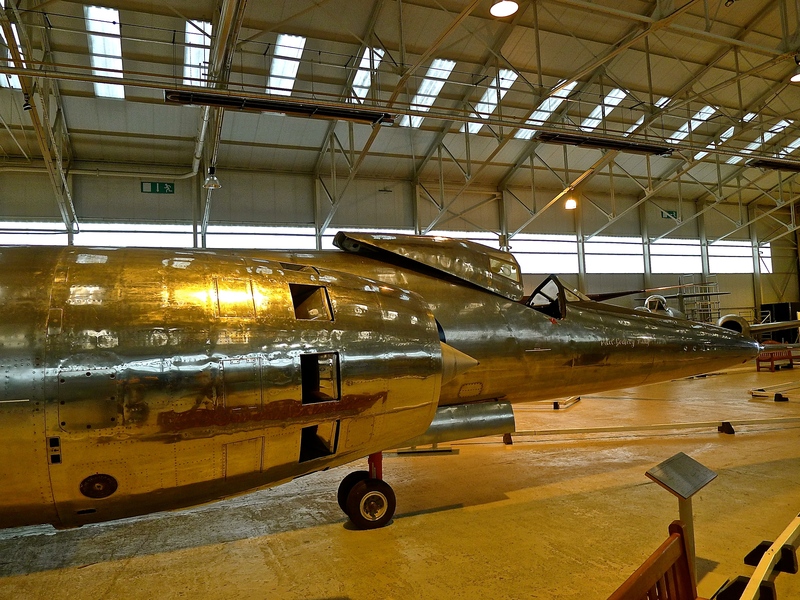 What a shiny Stainless steel beauty she was pity the engines were so greedy for fuel and compressor blades and the design speed and altitude was never reached. I spoke to a guy at the museum and he said that at one time there was a thought of fitting Avons from a EE Lighting and having a go at some speed and altitude records but there was no money so it was forgotten. What a shame.